Order in the next 481 and get it tomorrow! As If. 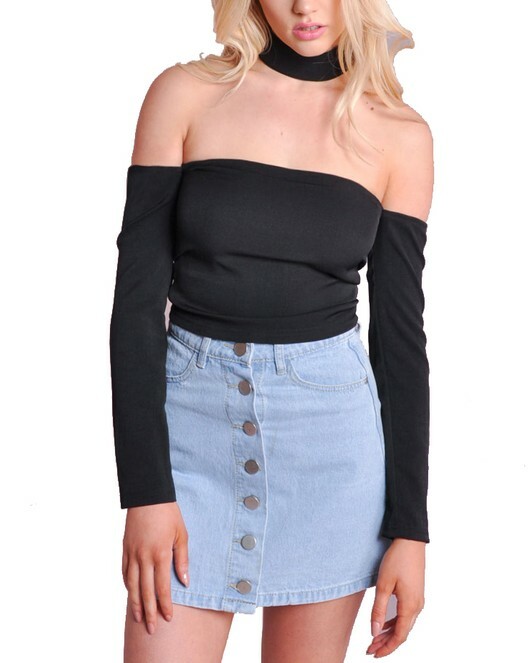 We are totally obsessed with this stunning black 90's cold shoulder choker top. Features long cut out sleeves, super cool button back choker neck, light stretch fabric. We love it styled with a high waisted denim skirt and heels for retro vibes.